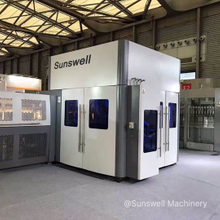 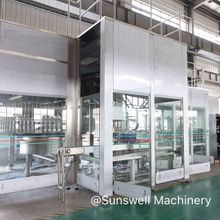 The Sunswell product range covers types of machinery for packaging of liquid including water, tea, juice, carbonated soft drinks, energy drinks, alcoholic drinks, beer, edible oil, dairy products, etc. 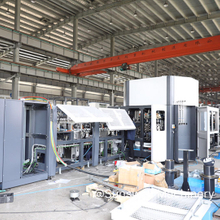 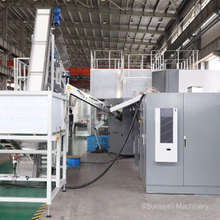 3 in 1 automatic beverage filling machine is cost-effective and environmentally-responsible, combining the three processes - blowing, filling, and capping for PET bottles. 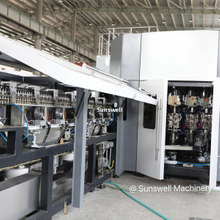 The blowing-filling-capping combiblock helps you save space and will be your best choice.